Call the Midwife. The BBC know knows to do drama! What other network could turn the routines of childbirth into primetime gold? The show is based on the memoirs of a plucky young British woman as she learns the midwifery ropes in a convent in London's rough East End. It's the 1950s and England has just enacted a national welfare system, so now the poor have access to medical care. The midwives deliver baby after baby under some dire circumstances and consult with doctors on an as needed basis. Make no mistake, the midwives were in charge. The Oder of the Myths. Damon loves to tell me that his hometown Mobile, AL is the birthplace of Mardi Gras. This centuries old revelry also remains a mysteriously segregated event. This documentary explores the history and socioeconomic constructs that continue to keep the white and black Mardi Gras balls and parades separate. It seems both groups like it that way. The scenes to watch are of the white debutante who returns home to participate in the court. She brings her liberal boyfriend. He express discomfort at first, but watch how quickly he adapts to attending all-white events where the only black people in attendance are the entertainment and catering staff. 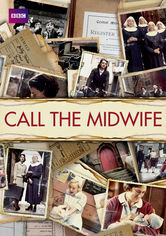 I actually bought the first season of Call the Midwife and never got around to watching it. Your vote of approval encourages me to give it a real try, as the person who previously recommended it had dubious taste. Regarding The Order of the Myths, I was just reading something today about racism. It talked about how white people will have many non-white friends, but no have black friends (and vice-versa). This article claimed that such "racism" tied more into the history of slavery and segregation. It was an interesting read, as one thinks of racists as being anti-"non whites"... Certainly my grandfather was anti-"non-WASP", including my Catholic father (and me as a result). I've been out of the netfllix loop for.awhile now. my kids hog netflix LOL hopefully when school starts I can begin to watch it.again. I haven't finished the 3rd season of Downton. Can I get that on Netflix? Man, I wish I could control our netflix!! My kids are in charge when it comes to netflix. lol. But that midwife show looks quite interesting! I keep seeing Call the Midwife show up on my Roku and I'll have to check it out. Thank you for the recommendation - I LOVE BBC programming! I've never watched either of those but I am a huge fan of The Walking Dead. I'm going to put The Order of Myths in my queue, it certainly seems educational and thought provoking. This is one of the things I especially love about having Netflix, social sharing and the discovery of titles I may never have discovered otherwise. I love the Netflix original stuff too. I just finished the series "Orange is the new Black." Can't wait for the next season. I am waiting for a low key month to subscribe again and have the time to catch up on everything I have missed over the months. Netflix is such a money saver! I love it! I love Netflix. I haven't heard of these shows, but I will be looking up.